The BBC has launched a new brand called iWonder which it hopes will unlock the learning potential from its wide-ranging content. Starting today, and designed to coincide with the BBC’s World War One season, the iWonder brand will kick off by offering eight interactive guides focused on World War One that have been curated by experts and BBC presenters like Dan Snow and Kate Adie. 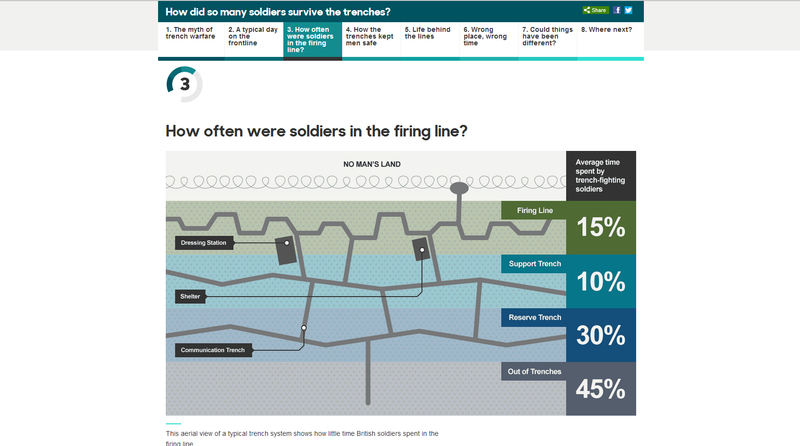 The Beeb says there should be 17 additional guides online by the end of the month and that ultimately it should play home to more than 100 interactive offerings looking at different aspects of the war. Some of the topics of the first eight iWonder guides include: ‘How did ‘Pack up Your Troubles’ become the viral hit of WW1?’, ‘Why were journalists threatened with execution in WW1?’ and ‘How do you fix a face that’s been blown off by shrapnel?’. The BBC said they’ve been designed to work flawlessly across a range of devices (mobile, tablets and laptops) and provide completely original video and audio programming.